I know everyone is big on brightly colored denim right now, but I much prefer this lighter alternative. It’s still a change from the norm, but not one so severe that will leave others blinded. 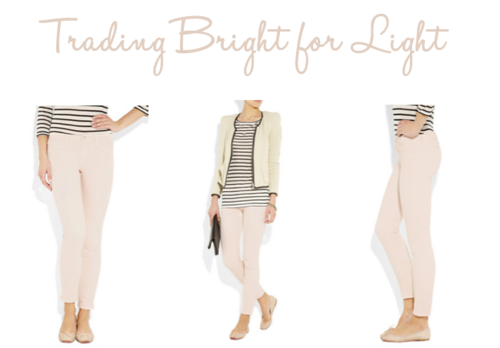 Get the pale pink skinny jeans here.